Observe 520 Skin Analysis & Consultation FREE!!! Prepay 5 get 6th free! Skin analysis, double cleanse, exfoliation, toner, moisturizer & eye cream. Relax & enjoy a skin-specific treatment that includes a thorough skin analysis, double cleanse, exfoliation, steam, massage (face, neck, scalp & arms), mask, toner, moisturiser & eye cream. This is the perfect treatment for clients of all ages, specially created to control the biochemical triggers that lead to skin aging while treating the signs of premature aging, photoaging and sun damage. Super-soothing skin treatment helps bring relief for clients who suffer from irritated, reactive and sensitized skin. A personalized, bio+charged treatment designed to target all skin conditions and concerns. This custom treatment uses a combination of Ionized serums and electrical equipment to maximize penetration and visible results. Perfect for aging skin, pigmentation or discoloration, dehydration or dry skin, acne or break out prone skin. 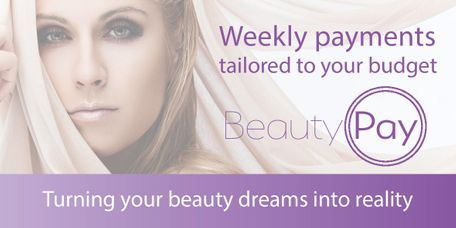 * Price includes a FREE Post-Peel Kit (RRP $40)! Repair, hydrate & revitalise unbalanced skin. Restore skin vibrancy & texture. Nurture & restore delicate skin. Nourish the skin with essential hydration and gentle exfoliation while simultaneously providing firming, cooling and healing properties. An introductory resurfacing treatment suitable for all skin types utilizing pineapple and papaya enzymes to gently exfoliate, firm, restore and balance the skin. A softening exfoliation treatment, excellent for all skin wanting a non-aggressive peeling treatment. 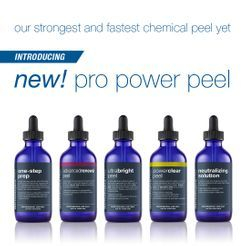 Good peel for first-timers. A delicious exfoliation treatment packed with Vitamin C, Orange Stem Cells, Lactic Acid and Mango Pulp. This is a hydrating resurfacer that evens skin tone and helps to brighten all skin. Excellent "pre party peel" suitable for all skin types. Excellent for acne & pigmented skin. Powerful anti-ageing treatment, ideal for wrinkles. An evolved Gylcolic peel treatment which is excellent for age manangement. Helps increase the rate of cellular turnover. Microdermabrasion is a non surgical, safe and gentle procedure that deeply exfoliates the skin to stimulate new cell growth. Using a gentle vacuum system and diamond tips microdermabrasion removes dead skin cells and unclogs pores, to reveal a younger, fresher complexion. Used to treat a number of skin care concerns such as wrinkles, hyperpigmentation, blocked pores, coarse skin and scar revision with no "downtime". Add-on Microderm to any Facial $39! Bio-Hydroderm™ is the next generation of microdermabrasion. A system that combines diamond tip exfoliation, liquid exfoliation, skin cooling and skin hydration for an immediately visible improvement to your skin with NO DOWNTIME! The Bio-Hydroderm™ handpiece buffs away dead skin cells using a diamond exfoliation disk chosen to match your skin type. The Bio-Hydroderm™ simultaneously cools and infuses your skin with advanced AQUAFUSE™ solutions matched to your skin’s needs, resolving your skin issues; dryness, ageing, fine lines, acne, hyper-pigmentation and excess oil from your very first treatment. Suitable for all skin types. Add-on Hydroderm to any Facial $49! A nourishing and strengthening facial treatment to assist in overcoming sensitive and reactive skin. Creates a more balanced complexion, leaving the skin soft, supple and even. An intensive facial treatment designed to target changes that occur deep within our tissue that can accelerate the appearance of premature ageing. Assists in skin renewal, helping to create a more firm, even and taught skin tone. It's time to look as young as you feel and reclaim a radiant, more youthful complexion. An invigorating and brightening facial treatment to revitalise a dull complexion that may be characterised by age spots or unwanted pigmentation. Assists in transforming an uneven skin tone, revealing a more radiant and luminous complexion. A clarifying and refining facial treatment used to address excess oil and shine while minimising congestion. Works towards achieving a more smooth, matte and clear complexion by regulating oil flow and balancing uneven skin tone. Get the clear glowing skin you've always wanted. A deeply nourishing and hydrating facial treatment designed for dry or dehydrated skin. Replenishes moisture within tight, parched and devitalised skin. Rejuvenates the overall complexion revealing a smooth supple skin by helping to restore overall moisture balance. What is Chemical Peeling? Chemical peeling consists of the application on the skin of exfoliating agents to obtain first, destruction and then regeneration of part of the epidermis and/or dermis. Chemical Peels produce a controlled wound that will result in renewal with the reduction or disappearance of sun damage, pigmentation, acne lesions, fine lines and wrinkles and superficial depressed scars. Depth and results depend on the strength of agents used. A gentle micro exfoliating treatment designed to sooth, hydrate and micro exfoliate dry, flaking and sensitive skins. Chirally correct vitamin and acid peel to renew, brighten and smooth the skin. A cosmedical grade peel to target visible signs of ageing and sun damage. Works on a dermal level to encourage a revitalised, smoother and more even complexion. De-stress your muscles and cleanse the skin of impurities with this purifying and relaxing back treatment. Skin is cleansed, exfoliated, steamed and any extractions performed. A 15 min back, neck & shoulder massage is performed. An enzymatic sea mud masque is then applied followed by the application of an Ozone High Frequency treatment to heal the skin. Your body will thank you for spending time in the IR Sauna. Proven benefits include pain management, detoxification, increased circulation and weight management.